Over the past few years there’s been an onslaught of reality TV programs about Cryptids – mermaids, the Mothman, swamp creatures of all sorts, but the vast majority are about Bigfoot. Cable networks just love the big hairy beast. 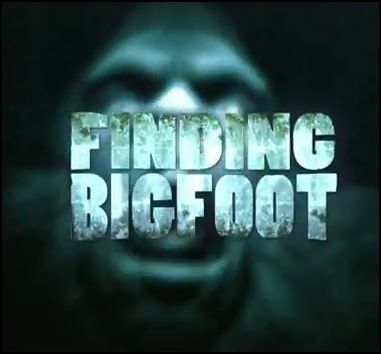 Animal Planet’s hit show Finding Bigfoot is extremely popular with the fans and a huge ratings success. Believers and non-believers alike love to watch Matt Moneymaker and his team stomp through the woods as they follow the trail of the elusive Bigfoot. I can’t believe they haven’t found him yet. I mean it’s been like, three years now hasn’t it? Maybe Matt, Bobo, Ranae, and Cliff could use a little help? Who ya gonna call when things get Squatchy? Les Stroud, a.k.a. Survivorman, of course! Stroud’s own hit reality show is nothing like the high budget production we get from Moneymaker and his BFRO bunch, and it’s certainly nothing like the flashy Man vs. Wild series featuring Bear Gryls. Stroud does it different. He does it alone. He’s got himself, the camera, and whatever meager MacGyver type stuff he’s allowed. No glamour, no fancy camera tricks, no big production. It makes for very compelling, raw, and gritty television. There is a definite sense of believability in what he does. Stroud has had many adventures over the years but none so fascinating as a 2009 experience in Alaska while filming an episode of his popular Discovery network show. Alone in the wilderness, he encountered something that “brought me to my feet and put the hairs up on the back of my neck.” An odd grunting noise echoed around him. It was unlike anything he’d ever encountered before. The chilling ape-like sound was unexpected and definitely out of place. He found Bigfoot. Or heard Bigfoot. Or heard something that sounded like Bigfoot. Whatever happened to him on that expedition stuck with him for years. He couldn’t let it go. So he decided to go back and try and find the answers to the puzzling experience. Controversial Bigfoot expert Todd Standing joined Stroud on his search for Sasquatch. Standing is thought by many to be a fraud and a hoaxer, especially after basically being “debunked” on an episode of Finding Bigfoot. But others in the field believe him to be a dedicated and credible researcher. Standing teamed up with Stroud for an incredible one-of-a-kind Bigfoot expedition. The result is a two-part special Survivorman Bigfoot airing on Canadian television this month (03/19/14 and 03/26/14) at 10pmE on Travel & Escape Channel. American audiences will have to stay tuned for the announcement of a release date on Discovery Channel U.S. and Science Channel U.S.
Well, we waited this long to find Bigfoot, I guess we can wait a while longer.